Measuring 31 inches in height and 26 and 3/4 inches in width, the Forged Crest center fireplace panels will add depth and dimension to your family hearth. 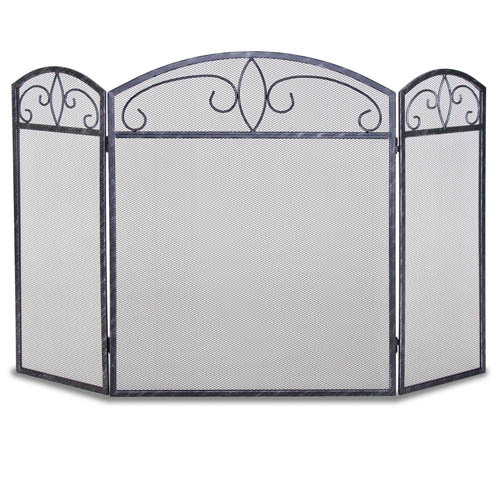 The attached side panels measure 11 inches wide. The three panel design allows you the option of being able to adjust and position the fireplace screen to adapt to your fireplace and hearth setup. The brushed graphite finish will be a welcome decorative touch to any family hearth.